Child Evangelism Fellowship® of Central Alabama has been reaching children and families in the community though 5-Day Club® and Christian Youth In Action ® for many years. 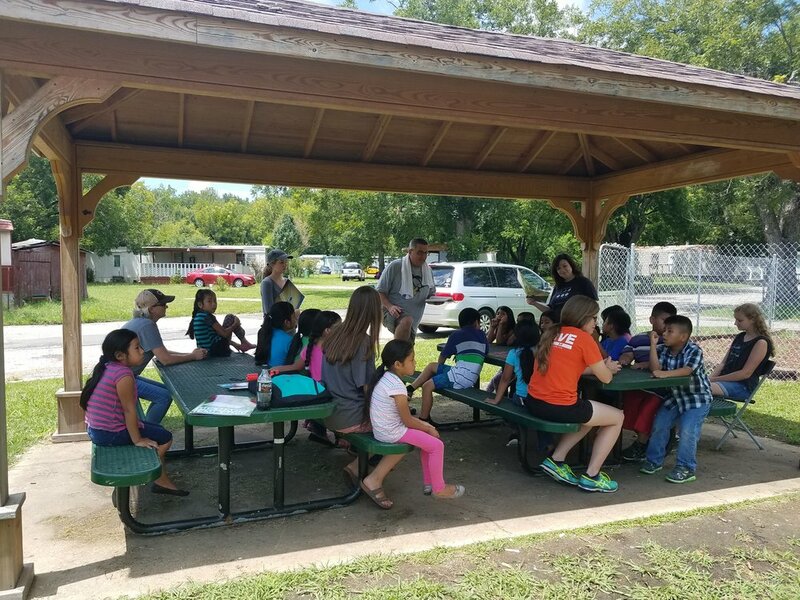 We are prayerfully seeking ways to strengthen the impact of our summer ministry in the community, by partnering with churches who can establish a long-term relationship with the children in 5-Day Club® locations after the summer is over. 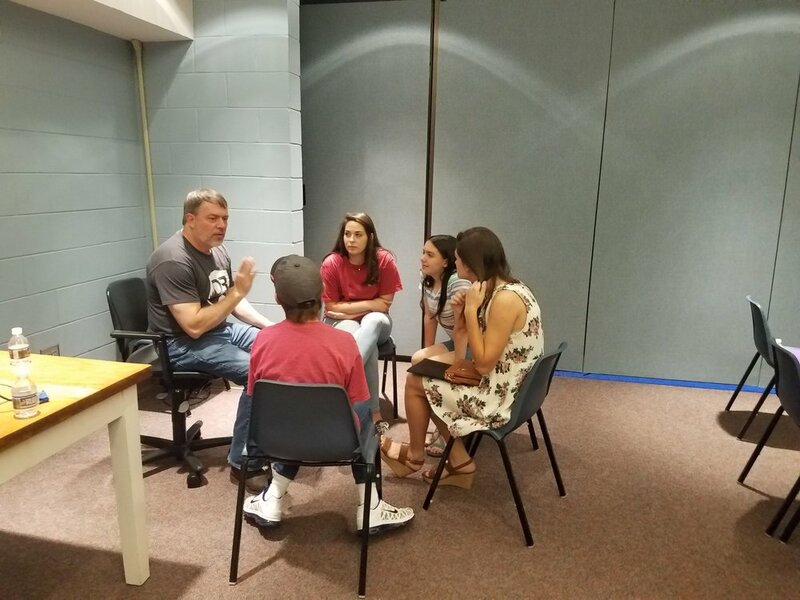 Brantley Martin, Isaac Ritchie, Abby Solomon, and Mary Phyfer (CYIATM Interns) join Jeremy Brown, student minister, Britt Green, pastor, and their team from First Baptist Church of Eclectic. 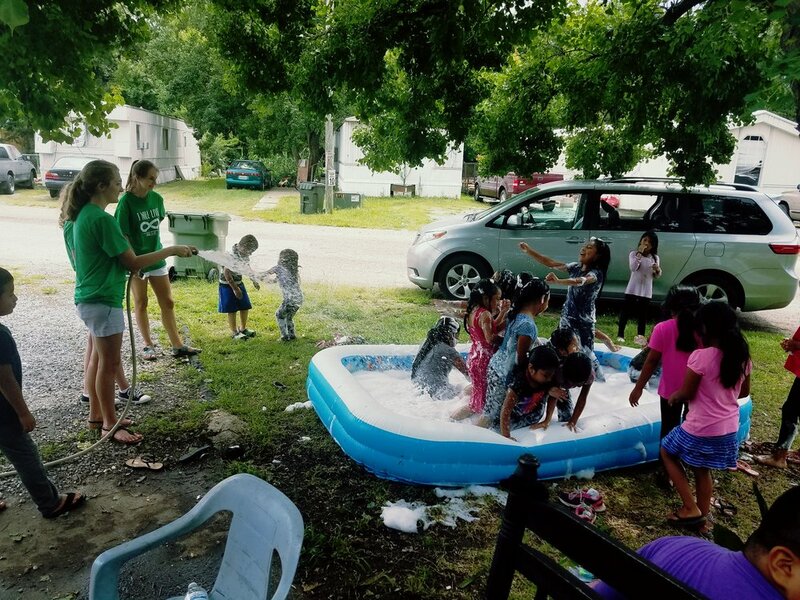 Why partner with summer missions? While it is true that God is using CEF® to reach many children with the Gospel during the summer months, we are seeking churches who are interested in being part of an ongoing effort to see those children consistently discipled and plugged into a local church body, in a way that roots the child in the teaching of God's Word and the fellowship of His people. This lasting relationship with the local church can dramatically increase the impact had on the child, the family, and the community. CEF® offers meaningful training, quality materials, assistance with recruitment and networking, as well as legal benefits such as liability insurance and background checks for all volunteers. The partnership fee of $150 covers the cost of the background checks and training for all volunteers, as well as a kit of materials for the team to share. The church can provide a list of locations where you would like to host a 5-Day Club, or CEF® can help pinpoint key locations in your community, many times building on established relationships with places such as YMCAs, day cares, etc. During your week(s) of ministry you are also partnered with at least one Christian Youth In Action® summer missionary who will serve as the liaison between your church and CEF®, as well as assist in the main teaching for the 5-Day Club®s. Christian Youth In Action ® missionaries get practice in the field when children from a local church visit for 5-Day Club® during training. Abby Solomon and Mary Phyfer Parker, Christian Youth In Action® interns, with Jeremy Brown, student minister, and Cheryl Roberson, members of FBC Eclectic, host 5-Day Club® at Panther Palace Park in the center of town. Adam Coppock of Young Meadows Presbyterian church teaches about missions at a 5-Day Club® at Jaad’s Daycare in partnership with CEF® of Central Alabama.. The Mallard family, of Morningview Baptist Church, with Isaac Ritchie, Francie Parker, and Ed Solomon, teach 5-Day Club® as part of a partnership between Maxwell Chapel and CEF® of Central Alabama. 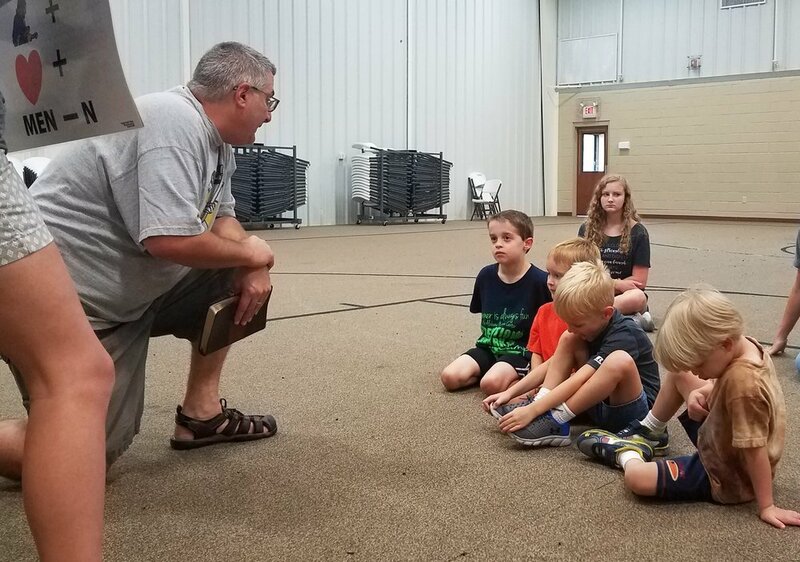 Reid Ward of Morningview Baptist Church leads his team in prayer at the Summer Church Training as part of a partnership between Morningview Baptist Church and CEF® of Central Alabama. CJ Falcione of Gateway Baptist Church teaches about prayer at a 5-Day Club® at Gateway Baptist Church in partnership with CEF® of Central Alabama..
Adam Coppock, of Young Meadows Presbyterian, leads his Summer Mission team in prayer at the Summer Church Training in partnership with CEF® of Central Alabama..
Emily Burkhalter, intern from Young Meadows Presbyterian Church, teaches the story of Mary Slessor, missionary to what is now Nigeria, to children in 5-Day Club® at the Kershaw YMCA in Montgomery Alabama. 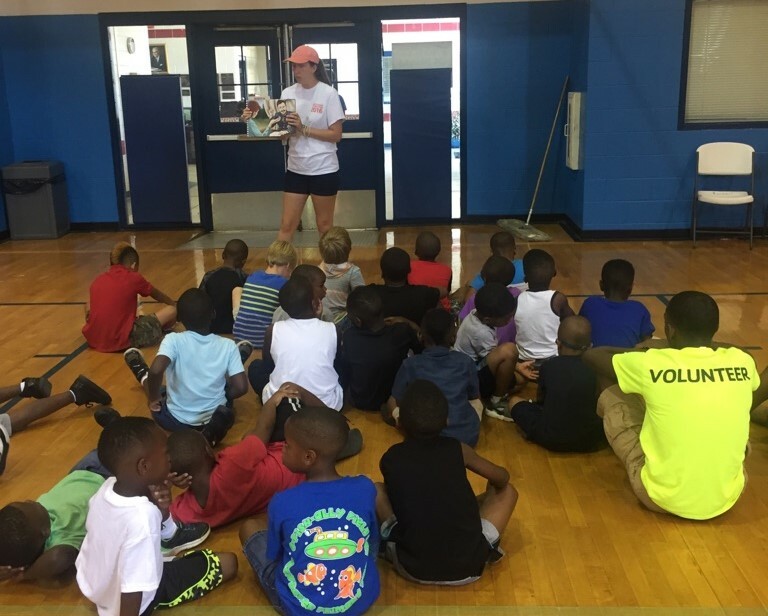 Children gather for 5-Day Club® at Regency Park as part of a partnership between Gateway Baptist Church and CEF® of Central Alabama. Casey Falcione, of Gateway Baptist Church, and Francie Parker host a water day during 5-Day Club® at Regency Park in Montgomery, Alabama, as part of partnership between Gateway Baptist and CEF® of Central Alabama. Morningview Baptist Church, Gateway Baptist Church, Life Chapel in Wetumpka, Maxwell Chapel, First Baptist Church in Eclectic. Young Meadows Presbyterian Church, Gateway Baptist Church, Morningview Baptist Church, Life Chapel in Wetumpka, Taylor Road Baptist Church, The Church @ Pike Road.